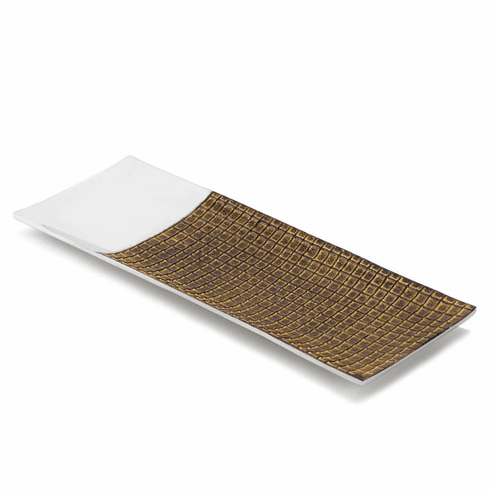 High-polish silver metal and textured earthy ceramic intermix to create a striking tray for your tabletop. The small ceramic squares, glazed in rich brown, are the perfect complement to the sleek silver portion of the dish. 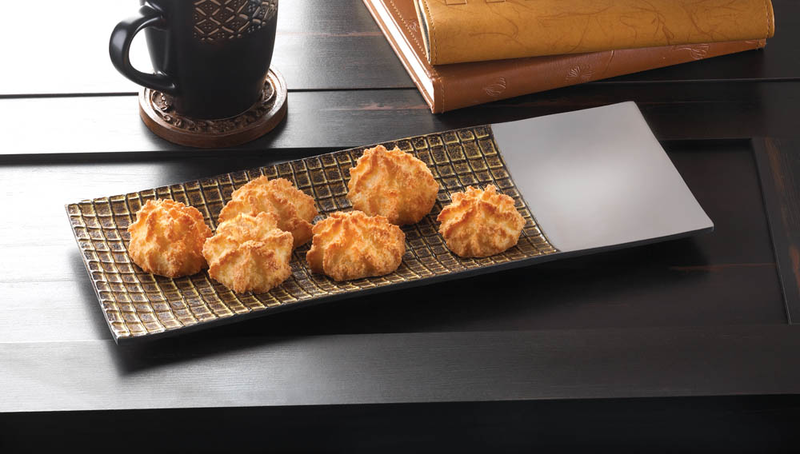 This tray’s fantastic form can also be functional: use it as a serving dish, place it on your entry way table to collect your keys, or simply set it on display to enjoy its eye-catching beauty. Item weight: 1.6 lbs. 14½" x 5½" x ¾" high. Aluminum. UPC: 849179025816.